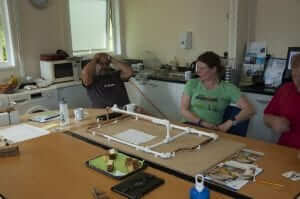 The weekend of 12 / 13th May saw the inaugural Boat Electric and Plumbing Course being run at our Debdale Classroom. With a weekend full of practical electrical and plumbing exercises there was enough to keep the students occupied all the time. 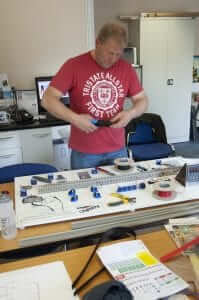 In the electrical exercises the students were each given one section of the boat electrics to cable up. Armed only with the circuit diagram they had to determine cable sizes and the correct termination types and then complete the cabling. At the end of the exercise all three boards were wired together and energised so that the complete circuits could be tested to ensured that they worked correctly. 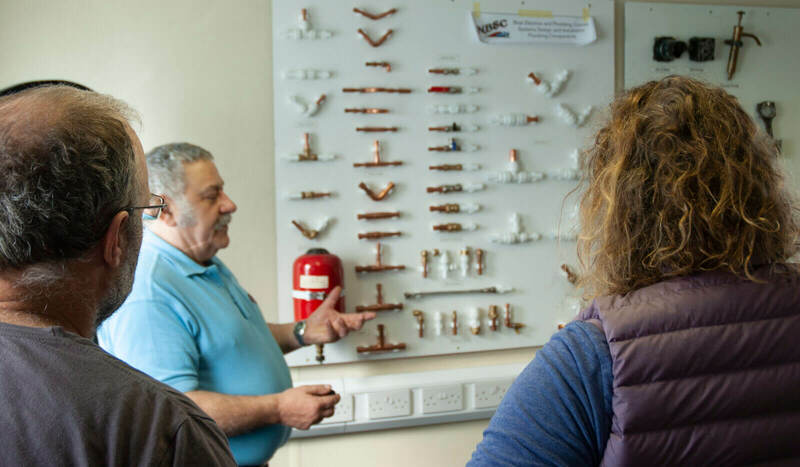 The plumbing exercises proved challenging with a mix of 15 and 22mm pipe in both copper and plastic and quite complex pipe layouts using pushfit, compression and soldered fittings. At the end of the exercise the pipework was pressure tested to ensure that there were no leaks. I’m happy to say that everything was right first time. Everybody had a great time over the course of the weekend and we got some very positive feedback. Look at the course detail page of our website Electrics and Plumbing for more details and future dates that the course will be running.